▶ Forceps - Instruments used by dentists and jewelers for grasping or gripping small objects such as teeth or gemstones during delicate procedures. ▶ Misc Instruments - Dental and surgical instruments used for a wide range of tasks. ▶ Pliers - Small pincers used to hold small objects or to bend and cut wire. ▶ Scissors - Dental instruments used for cutting soft tissue, sutures, and other soft materials. 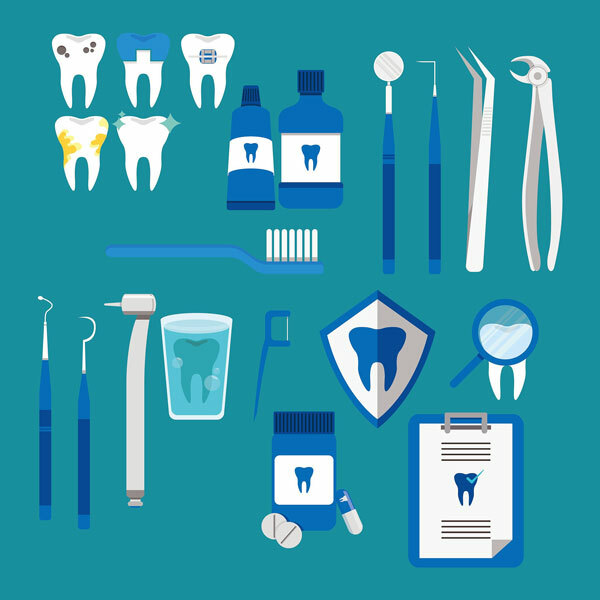 Instruments are a vital part of a dental practice. Dental labs, hobbyists, and veterinary clinics also use some of these instruments. The specific procedure or task dictates which instrument is selected. Dental instruments are available in various materials, designs, and sizes. Instruments are constructed of stainless steel, anodized aluminum, or high-tech plastic/resin. Some instruments have sharp, pointed ends and may be designed with different angles so that all parts of a tooth surface can be reached. They may be single-ended or double-ended. Pliers and scissors also have ends that are designed for different functions.